Swedish Prime Minister Stefan Lofven, shown here last week, has lost a vote of confidence in parliament. Swedish Prime Minister Stefan Lofven has lost a confidence vote, effectively forcing him out of his post and plunging Sweden's politics into uncertainty. National elections earlier this month resulted in a hung parliament after a far-right party made significant gains. Now, the parliament's speaker will tap another leader to try to form a government, but the shape of any future alliance is far from clear. Lofven, who heads the center-left Social Democrats, has been prime minister in Sweden since 2014. Two hundred four parliamentarians voted against him, 142 voted for him, and three abstained. There are a number of political parties jockeying for power in Sweden. In this month's election, the anti-immigrant Sweden Democrats surged with 17.5 percent of the vote. Lofven's Social Democrats took 28.3 percent, and the center-right Moderate Party took 19.8 percent, The Associated Press reported. The ascent of the Sweden Democrats has left the more centrist parties with difficult choices — ones that other European politicians are also facing. As Reuters puts it: "The rise of the far right across Europe has forced many traditional parties into an uncomfortable choice of sharing power with populist forces or reaching out to long-standing opponents to keep them out." Andreas Norlen of the Moderate Party, who was elected speaker of parliament this week, will start talks with various parties about selecting a possible prime minister. According to multiple news reports, Moderate Party leader Ulf Kristersson is likely to get the nod. But forming a new government won't be easy. Kristersson's Moderates are "the largest member of the four-party centre-right Alliance," The Guardian reports. Beyond those allies, the Moderates have few options. According to the newspaper, "The Sweden Democrats have been shunned by all other Swedish political parties since entering parliament in 2010 because of their roots in the neo-Nazi movement." 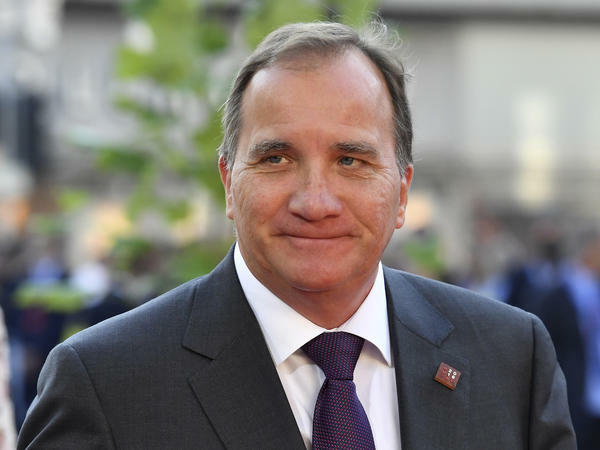 And on Tuesday, Lofven ruled out partnering with the Alliance to form a government, The Local Sweden reported — though the news site stated that a compromise might be possible on several major policy issues. If no government is agreed upon after four attempts, Swedes will have to return to the polls. According to the BBC, that's never happened before. And it appears likely that another election would result in similar deadlock. Lofven may yet remain at the helm. After the vote, he was quoted by the BBC as saying, "I see good opportunities to continue as prime minister." Until another government is formed, he'll stay on as a caretaker prime minister. In the recent election, as NPR's Emma Bowman reported, "much of the vote has hinged on voter attitudes on the issue of immigration." "Sweden began opening its doors to hundreds of thousands of asylum-seekers after the last election, in 2014. Since then, well over 300,000 people have applied for asylum, mostly from Syria, as well as from countries including Iraq and Iran. "Nationalists point to a rising crime rate and incidents of gang violence as evidence of the need for closed borders. Those on the left point to Sweden's strong economic growth, low unemployment rate and overall relative well-being as a sign that more countries could be following the lead of this self-described humanitarian superpower."